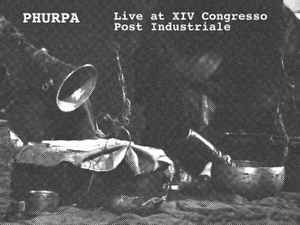 On April 14 2018 Old Europa Cafe and Scenasonica organised the historical OEC label festival "Congresso Post Industriale" in Pordenone / Italy. The venue took place in a medieval deconsecrated Monks church, a perfect environment for a PHRPA ritual. CD come in an oversized folding cover.